Creative expression has taken a new turn in the last few years with the increasing role of social media platforms like Instagram. We now have more access to each other’s lives and can curate our online platforms heavily to attract like minded followers and potential collaborators. An industry particularly feeling this change is the fashion industry. Designers now have access to interesting and “everyday people” to use as models instead of just those who have been selected and represented by agencies based on commercial standards. Because of that we are seeing more faces at the forefront of fashion that celebrate individuality and uniqueness instead of the conventional. Diversity in fashion isn’t a new thing—but it’s also not common . Many “unconventional” models (Paloma Essler, Barbie Knox etc) have been working overseas for a while, particularly in the US. And although the industries over there are far from being perfectly diverse they are able to represent all genders, skin tones, and bodies types, much more successfully than here. In Melbourne and Sydney the emergence of street cast agencies like The Uncast and Folk Collective has contributed to this progression positively. In particular through their work with independent labels who are better known for working with diverse models. Sydney based model Amber Prado-Richardson and Melbourne based models Jarman Cutrona and Mary Grigoris have experienced this first hand. Together we discussed what it means to be a model today (agency represented or not) and whether we’re seeing diverse faces as a tokenising trend or a product of a genuine change. I started about two years ago as a favour for my friend who has a jewellery line. In 2015 I started taking a buttload of selfies so I guess she saw that and liked my look. 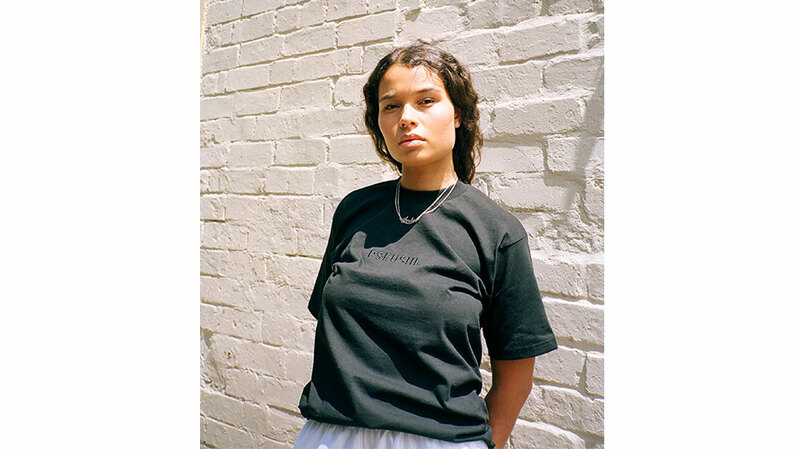 I’m apart of a newer agency called The Uncast, which is Sydney based and looks to represent the faces that we don’t really see in mainstream fashion. However a lot of the work I’ve done has been from people sliding into the DMs on the gram. Hah, that’s great. So would you say you identify more as a model or influencer? Hmm neither I guess; I don’t really do enough work to call myself a model—it’s quite sporadic. But I’m not too sure I’m an influencer either. I just try to be myself as much as possible and if people vibe with that then that’s cool. Are mainstream fashion events (like fashion week etc) on your radar? Not really… especially in Australia. Until the mainstream industry here becomes more inclusive of people of all genders, races, and shapes I ain’t interested. 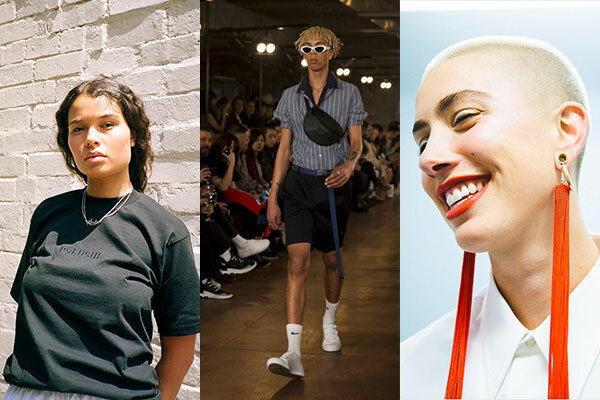 Yeah, it’s interesting that things are different for that overseas… Do you think social media is influencing a change in the faces we see in fashion? Absolutely! So many people get discovered through social media who may have never thought about entering the industry. Also it gives people a voice who couldn’t really have it before. If a brand or designer does something problematic like casting no models of colour or appropriating a culture we can call them out nowadays and they can hopefully (if they listen) change their behaviour. Based on your experience, do you think the increase in diversity that’s happening because of Instagram is token or are things actually changing? I would hope that things are actually changing; I mean, there is really nothing worse to me than diversity just being a trend. We still have a long way to go but it seems like things are looking up! I modelled a little as a kid, it was something I just just kind of fell into. I only just got back into it about two years ago. Do you feel like mainstream fashion events are on your radar? I’ve done mainstream fashion events recently, but only in Melbourne. I feel like anything’s a possibility. But I also feel like there are much more opportunities for models of colour overseas than there are in Australia. Is there a distinction between commercial fashion and the faces we see around Melbourne who are probably more like “influencers” rather than models? Like Jennifer Hawkins? I don’t see her around Melbourne much but I’d say she’s more of an influencer than model—no shade. How did working for yourself as a model compare to being represented by an agency? I personally like being represented by an agency more, but it also really depends what your agency is like. You need people that are going to work for you, be organised, and know what’s best for you when it comes to work. How do you feel about representation in the industry at the moment? I feel like representation in the industry is on a good path right now. Things are definitely getting more diverse! Hi Mary! When did you start modelling? When I was 15. My sister entered me into a supermarket model search competition and I got into the runaway finals, which eventually landed me an agent. Until I started modelling, I was totally indifferent about the way my body looked. I was almost six feet tall and quite lean for most of my teen years, so people would always tell me I should play sport or model. Then during puberty I obviously started growing hips and breasts; things that, in my understanding, weren’t celebrated in the fashion industry at the time. So it was really confusing! Did that change how you felt about working as a model? Well, I’d never really felt that connected to my femininity so those body transformations would have been challenging for me regardless. I’d kind of fallen into an industry that totally commodified the human body, and that has strict parameters about what is acceptable, and what is not. Is that why you took a break? Yeah after about two years I recognised that the modelling industry was becoming pretty toxic for my mental and physical health. So why did you go back? A close friend was launching their clothing label and asked me to wear their clothes on the runway at VAMFF—I hadn’t modelled for like seven years. 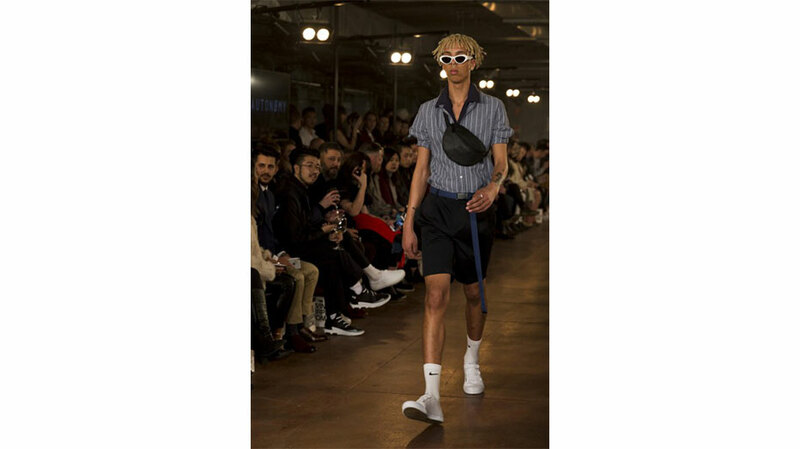 But the designers were street casting the models for their show, using a mix of models and non-models, and the clothes were all loose fitting, and for all genders so it’s seemed approachable to me. So now you model menswear… It’s pretty exceptional to be an androgynous female on a men’s runway—especially in Australia. How have people responded? The people closest to me have definitely responded positively! They can see that I’m happier and able to express myself in an environment that had previously paralysed any want for self-celebration, in me. I was actually approached about it during an i-D show I was doing. David Jones and Oyster both asked if I’d feel comfortable wearing menswear—which I didn’t even think was an option until that point! It completely changed how I felt about fashion week and the industry in general. What do you think could be prompting this change? I think visibility is essential. When I was fifteen and starting out in the fashion industry there really was no celebrating beauty outside traditional boundaries. But over the last two years I’ve definitely noticed a shift. So hopefully the increase in representation of all identities in fashion eventually leads to better self-acceptance—every person deserves to feel represented and understood by that environment. Also, people are no longer relying on mainstream media for creative inspiration; there are so many sub-cultures emerging that were concealed before but that we now have access to because of social media. So I guess that is bleeding into the mainstream/commercial fashion industry.